The Fresh Prince of Bel-Air's Hilary Banks was quite the character. Not a goody-goody like brother Carlton and not so much of a button-pusher like cousin Will, Hilary was the fashionista of the family, quick to shop but often lacking common sense. 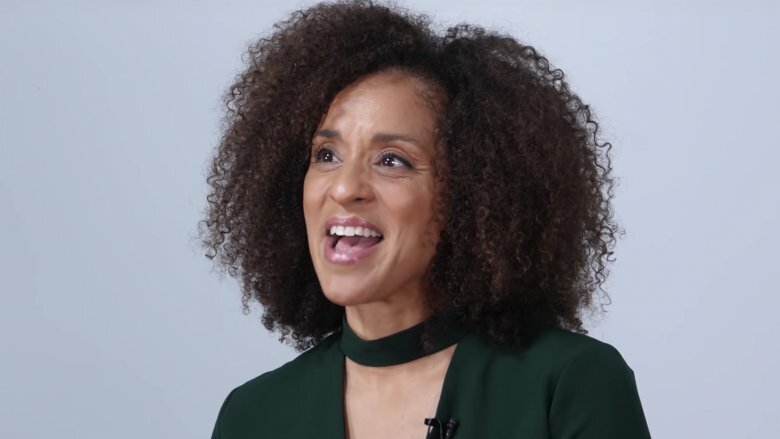 Given her good looks, she was likely many '90s kids' first big crush, and, despite it being decades since the show first premiered, the actress who played her, Karyn Parsons, is still dropping jaws. 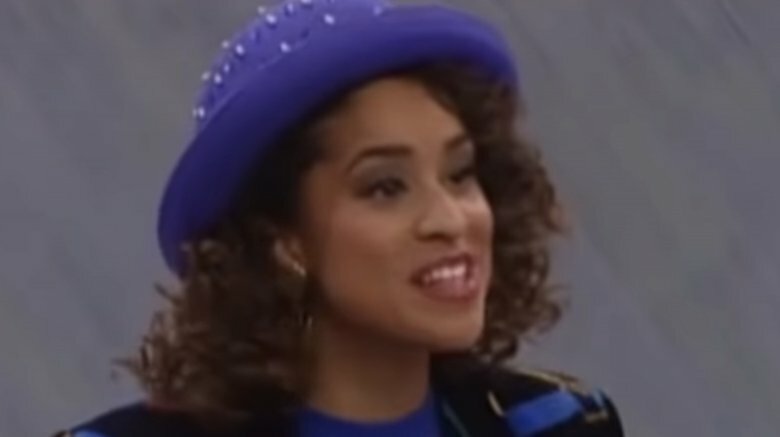 Karyn Parsons premiered the Hilary character in 1990, back when the show's biggest star, Will Smith, was still primarily known as a rapper. In an interview with NPR in 2014, Parsons, who turned 52 in 2018, recalled how she snagged the role. Revealing that the character was originally described as a "model type," Parsons assumed she wouldn't get the job. "My first reaction to it was oh, well, this is ridiculous. I'm not going to get this. I'm not a model type, you know? This is silly," she said. "And so I did what I could do, which was I kind of turned her into a little bit of a real brat." And, fortunately, her take on Hilary apparently won over casting directors, and thank goodness it did — could you imagine Hilary as anything other than a whiny, spoiled rich girl? Thinking back to her time on the series, Parsons told NPR, "It was fun to play that girl. It was fun to just be so self-absorbed that you say those ridiculous things. That was definitely my big break. 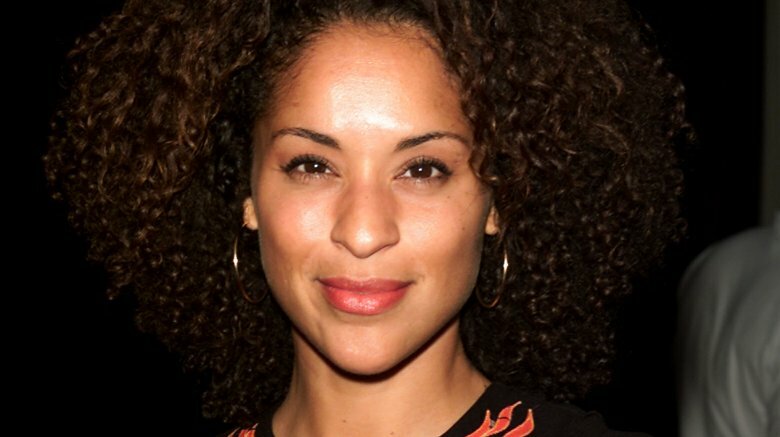 … I definitely wouldn't be who I am now if I hadn't had the experience of playing Hilary Banks." But of course, Fresh Prince couldn't last forever. After the show ended in 1996, Parsons moved on, appearing in a few short-lived TV series like Lush Life, The Job, and Fly. But she seems to have largely given up starring on the small screen. Rather, she's focused on charitable work, founding the organization Sweet Blackberry. The nonprofit, for which Parsons serves as president, aims to "bring little known stories of African American achievement to children everywhere," as noted by its website. Sweet Blackberry has worked with the likes of rapper-actress Queen Latifah and comedian Chris Rock to create several animated films. "It's important to shed the light on people that we don't hear about," Parsons told Forbes, when asked about the organization. "There are so many stories that are so inspiring and offer so much to all children. For children of color, they offer something really great and fortifying. We don't have enough of that." Parsons has also focused on her writing career. As Essence reported in August 2018, Parsons will release her debut novel, How High the Moon, on March 5, 2019. The historical book, which will be published by Little, Brown and Company, is set in the "Jim Crow south" and "follows a girl through those tumultuous times as she attempts to reconnect with her mother and learn the truth about her father." While Parsons has not officially retired from acting, she has admitted that booking acting gigs feels "so trivial" now, in comparison to her nonprofit work, especially because she barely has any free time. "It feels funny. It feels strange," she told Sway's Universe in 2017. "I have two young kids, I have Sweet Blackberry, I'm really busy, and it's really hard to … continue or pursue the acting thing right now." Clearly, Parsons is a lot less self-absorbed than her Fresh Prince character was. As for her personal life, Karyn Parsons is on her second marriage, and, by all accounts, her relationship is going strong. Parsons, who'd previously tied the knot to Reservoir Dogs actor Randy Brooks before divorcing in the '90s, is married to Alexandre Rockwell, whom she wed in 2003 (via MSN). The couple share two children: Lana and Nico. Fortunately for fans of Parsons, they can still follow along with her professional and personal lives by checking out her Twitter and Instagram accounts. There, she's posted multiple photos documenting Fresh Prince cast reunions, posing alongside former co-stars like Alfonso Ribeiro (Carlton Banks), Tatyana Ali (Ashley Banks), and Daphne Reid (the second actress to play Vivian Banks). But, with or without her Fresh Prince crew, Parsons is obviously going places, and we have a feeling that, for her, the best is yet to come.